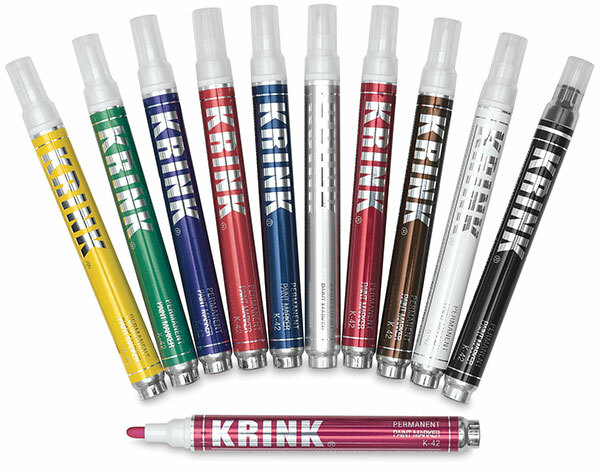 The Krink K-42 Paint Marker features high-quality opaque pigmented ink in a variety of vibrant colors that can be used on most light or dark surfaces, including metal, canvas, painted surfaces, wood, glass, plastic, and paper. The paint is permanent, quick-drying, fade-resistant, and water-resistant — great for a wide variety of art, craft, and industrial applications. 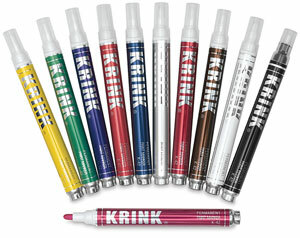 K-42 Paint Markers have aluminum barrels that are recyclable. Handmade in the USA. Xylene-free. Conforms to ASTM D-4236. ® Krink is a registered trademark.